I know what you’re thinking. That blog post title could have been more creative. But I would argue that it is true and accurate. 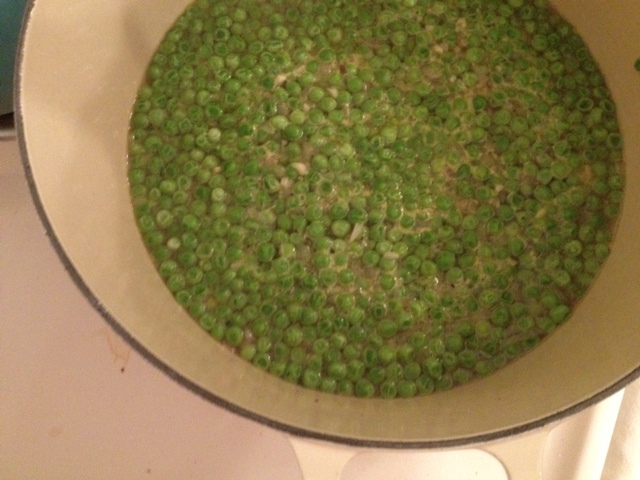 I considered calling it “Peas Be With You” or “Peas de Résistance,” but when you make this recipe you will agree that “Easy-Peasy” was the way to go. Anyway, happy spring! It’s that wonderful time of year when one minute you are prancing around outside in a tank top and the next you’re under a quilt hiding from the chilly rain. These unpredictable meteorological conditions make for odd food cravings. Like the other night when I wanted a fresh, springy dish that was also warm and comforting. 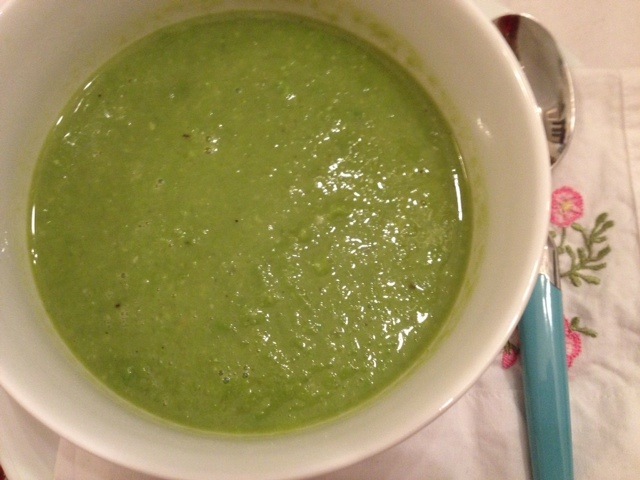 If your taste buds also feel partly cloudy, make this pea soup. It’s the perfect gastronomical bridge between springtime and whatever is actually going on with the weather. In a Dutch oven, melt the oil and butter over medium heat and add the onion mixture. Cook 5 minutes, then add the garlic and cook another few minutes. 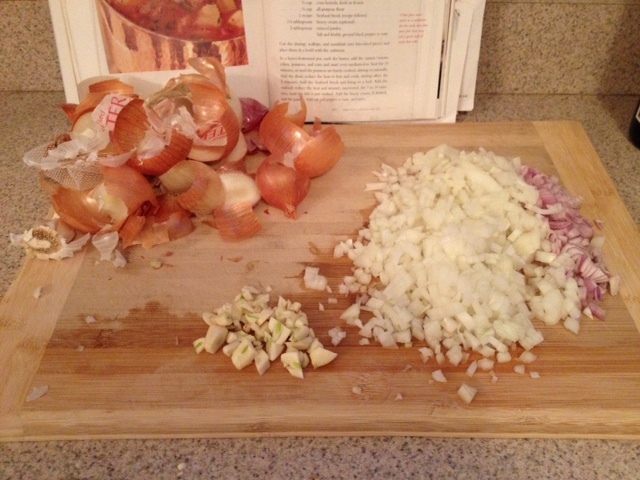 Once the onion mixture is tender, add the chicken stock, frozen peas, salt, and pepper. If you are using mint or basil, add that too. Bring to a boil, then reduce the heat and simmer the soup for 5 minutes. 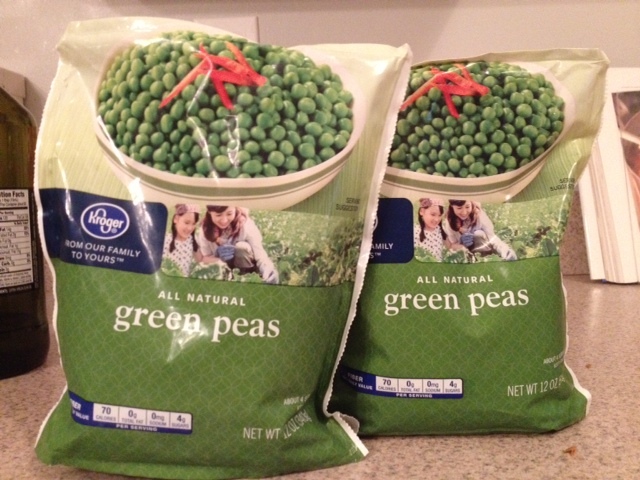 No need to get fancy with the peas. Kroger brand will do you just fine. Puree the soup with an immersion blender. Taste for salt and pepper. Sprinkle with Parmesan cheese and/or drizzle with olive oil to serve. 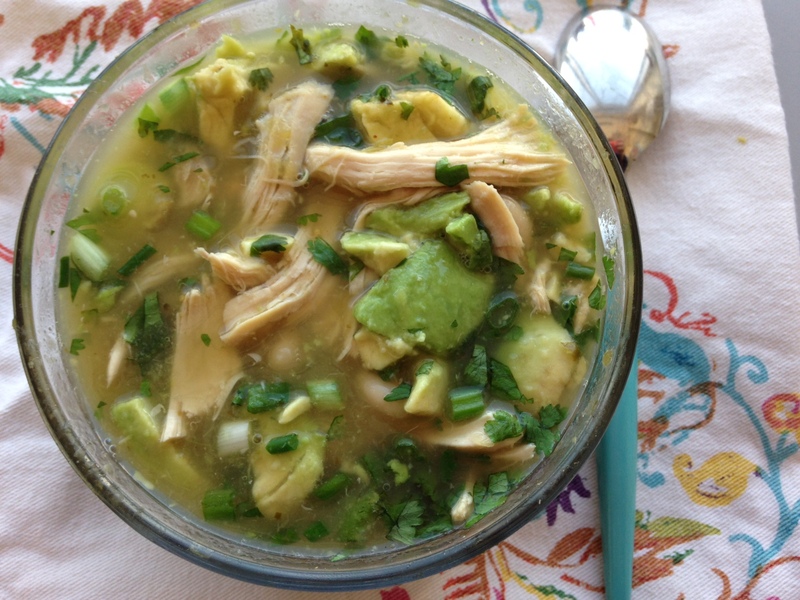 Categories: Recipes, Uncategorized | Tags: peas, soup, spring | Permalink.